It’s time for me to get lost in words again…to get lost in reading whilst long haul traveling, writing my PhD, finishing curatorial proposals and job application forms, copy editing publications and getting some articles finally done and dusted (apologies to Paul once again). 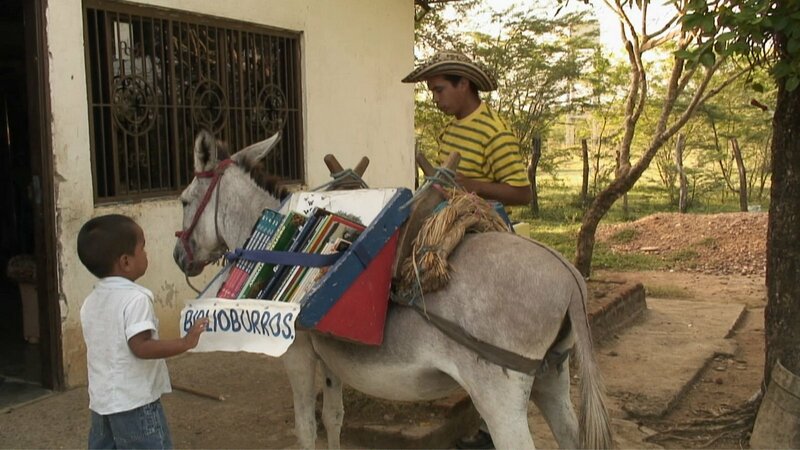 I came across these mobile libraries and carts (“Bibliocarreta”) from Columbia and thought how great it would be if more things like this existed in public spaces and just how easy it is to share words, thoughts and most of all knowledge in world by such simple, easy and creative means…more so just how (more) lost in words I would get if they were in Shanghai and back in the UK, though I can’t imagine seeing a donkey library (“El Biblioburro”) in China. If there was, I’d probably end up owning it right? Today, go and find some words, pick up a book and get lost. I will be before sleeptime. my pleasure! Michael wants to revisit DICA, so it may reappear given the right circumstances.